White Collar Hippie is about bringing you incredible outdoor and offbeat travel experiences. We want to be surprised, humbled and transformed by the journeys we embark on and we want you to come along with us! We believe in taking things up a notch in everything we do. 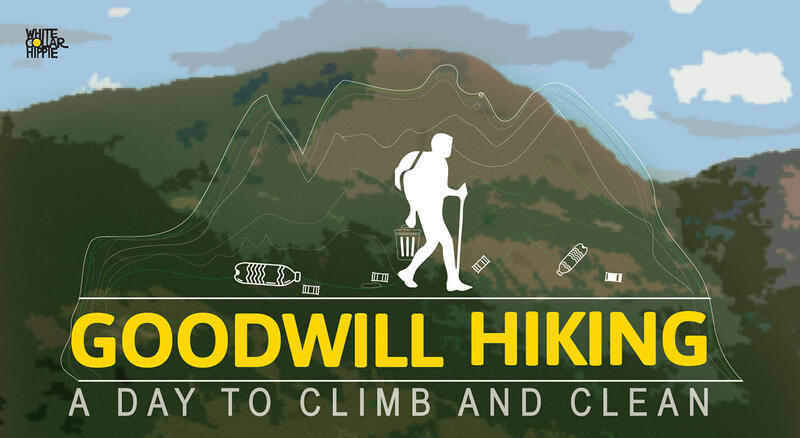 In Goodwill Hiking we do this by reversing some of the damage done to the environment, by cleaning as we climb! This trek will take you on a steady descent through Andharban or quite literally, "the dark forest." The walk is sure to challenge your endurance but is perfect for those who prefer the way down rather than uphill. We start the trek at a height of 2160 feet and make our way through dense evergreens, across gushing streams over-looking misty valleys. During the first half, we will navigate across two out of three large rivulets that are rushing down the rocks. Most of the walk consists of shady sloping trails with patches of paddy fields and forest clearing. We will enjoy the freshly cooked organic meals prepared by local hosts that come straight from their hearts and homes! Our lunch stop will be at the village of Hirdi with a picturesque view of the Plus Valley that lies below. We continue onwards, trekking along narrow winding trails forming a U-shape along the backwaters of Bhira Dam. Whats better than spending time in nature, with new friends, doing a climb-and-clean trek through the beautiful hills around Mumbai! What Makes Our Trek Different? CLEAN UP DRIVE – as you bask in the glory of Mother Nature through the course of this trek, collect trash as a humble gesture in exchange of the soul-cleansing and rejuvenating experience that the hills offers. CONTRIBUTING TO LOCAL ECONOMY - some of the local hosts will help as guides and all-round knowledge boosters on the trek. Apart from this, they will be cooking fresh organic meals for you in their own kitchens. EDUCATIONAL INITIATIVE - another opportunity you will be seizing during this trek is one that fits with WCH's philosophy, and they're sure it fits yours too! They will share part of the proceeds with an educational initiative in their host village as yet another gesture to thank them for the time, hospitality and love. Moreover, White Collar Hippie encourages you to make donations like art supplies, old clothes, stationery and household items, such as quilts, bed sheets, umbrellas (since it is monsoon) to the reisdents of the host village. What better way to spend a day in this season than living it to the fullest with things that make your soul happy: friends, nature, food and lots of adventure! Refreshments along the way - veg puff, fruits, water, nimbu pani, energy bars etc. Reversing some of the damage done to the environment. Sharing time and love with the locals who will be your hosts. Beautiful uphill walks, conversations and memories. Awesome, curated music on the bus. Since WCH want to avoid adding to the waste by carrying more packaged drinking water bottles, they ask you to carry your own bottle. They will provide enough points where you can refill them. Change of clothes - since it will be raining. Flip flops for a comfortable journey back home. Comfortable trekking clothes - quick dry. A sense of humor and an open mind. It is advisable that the traveller acquires adequate insurance cover to secure his/her life, health and property whilst on a trip with White Collar Hippie. Please note that any claim would have to be referred directly to the insurance company by you. White Collar Hippie reserves the right to cancel the tour prior to the departure, without assigning any reason and all monies paid by you will be refunded forthwith in Indian Rupees. Andharban Forest, Pimpri District, Maharashtra 412108.